ATTRACT, ENGAGE, PERSUADE & ENROLL CLIENTS EASILY & AUTHENTICALLY! LEARN HOW TO CREATE YOUR LUMINOUS MESSAGE AND ATTRACT CLIENTS LIKE BEES-TO-HONEY! Finally understand WHAT is keeping you from creating the income and abundance you desire. And HOW to turn that around, once and for all! Our brains are hard-wired to seek and connect through story. This can be the most powerful tool in your marketing, to attract & enroll clients into your services & programs! Was believe that I "should" do this all on my own. frustration, and taking a hit to my self-confidence. Instead of focusing on what I did well, I spent a ton of time hitting my head against the wall. Learning to use stories & tell stories completely transformed my practice. Where and HOW Would I Use This Training? Believe it or not, learning to craft your own UNIQUE Luminous Message and crafting your UNFORGETTABLE story can be used in many ways! Here are some examples, both of marketing & also using the power of messaging and story. Being Clear About Your WHY & Knowing HOW to share it allows you to stand out in a crowded market. Knowing WHAT to say, HOW to say it, and being clear about your big WHY, will allow your unique brilliance to shine through in an authentic & unique way that will connect with potential clients and collegues from the heart. It will give you the power to charge more, clearly articulate your unique value and the transformation you provide. It is about learning how to tell stories in a way that your clients see themselves in you and think: "I MUST work with him or her." Understand the overarching framework you need in creating or re-vamping a Conscious Business & Stories will become the Powerful Glue that will convey your vision, mission & your message. Client Attraction start with YOU! Uncovering your gifts & strengths will give you the confidence to stand in your power, charge what you're worth and be certain of the transformation you bring your clients. Don't get tongue tied at the next networking event or hide under your credentials. Create a powerful and client-attracting message that will have people asking for your contact information & make you memorable to referral sources! Attract Clients with Authenticity & Ease! IV. Unleash Your Luminous Story! Learn a powerful framework for telling and sharing stories. Whether it is 5 minutes or 15 minutes. Through the powerful exercises, you will uncover the stories that will draw your ideal clients to you and how to structure them. V. Reflect & Mirror... Share Your Story! This is the time to get out of your comfort zone and begin to share and practice sharing your story. Ask for feedback and integrate it, so you can polish your story so it is fully congruent with who you are, how people see you, and your powerful message! Once you learn the formula, just rinse & repeat! Once you understand the structure and the exercises needed to tap into your ability to create stories, and how to share them clearly & powerfully, you can rinse & repeat and create as many stories as you want! 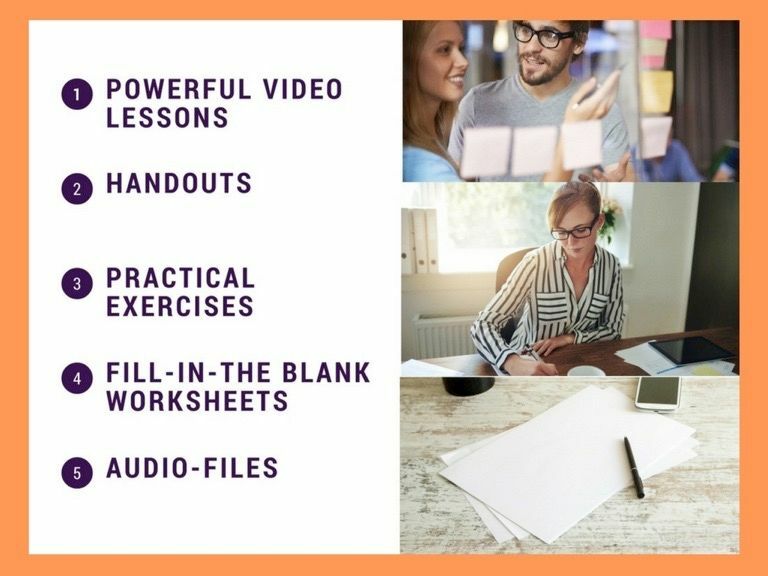 Receive notes, handouts, exercises & templates for you to create your powerful stories and messaging statements! "Learning to tell stories has been the most transformative skill for my business. Start attracting clients at Hello! and skyrocket your business and the impact that you are here to make in the world! Learn how to draw clients to you like bees-to-honey and stop struggling! are chasing you, and not the other way around! Embrace ease, grace and flow. Authentic Attraction without Selling your Soul! Get your business on the fast-track! 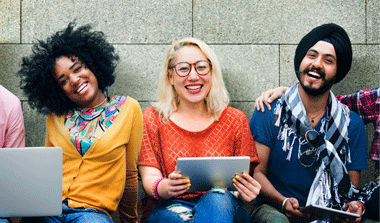 Start using story and connect with your potential clients. They will come looking for you and will be happy to pay your fees! Discover how simple, enjoyable and powerful it is to go to networking events, when you are posting on social media or letting your potential clients know what you do and how you can help them. 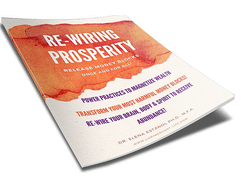 This incredible tool uses the basis of neuroscience to fire your potential client's "mirror neurons" and to be drawn to you, like bees-to-honey! “Elena has been a guide and mentor for me for 5 years now. I came to Elena as a beginning clinician with the normal levels of excitement and anxiety about starting a new career. I was in need of practical business guidance and therapeutic acumen. Not only did I receive appropriate leadership in these areas but Elena inspired ongoing pursuit in my unique areas of interest, of which I now thrive. Discouragements were met with understanding and doubt dissipated with her unwavering belief in my vision and spirit. Elena is an intuitive professional of integrity which is evident in the success of her own clients, employees and businesses.